Are all Samsung Galaxy S screens created equally? There is no doubting that the best screens on an Android phone right now belong to the Samsung Galaxy S line. Anyone who has heard Samsung talk about their screens, it’s almost like a mantra for them to talk about how the blacks are blacker, the colors are brighter, and it offers one of the best overall viewing experiences in direct sunlight. I have been fortunate enough to spend some quality time with all four Galaxy S devices, most recently the Epic 4G. To be honest, something about the experience felt a little off. Something about the icons, the way straight lines were drawn, or the way simple gradients showed up on the display was not the same as the other three Galaxy S phones. This lead me to ask this big question, and start up some serious research. Are all Galaxy S screens created equally? We already know that all Galaxy S phones aren’t created equally. 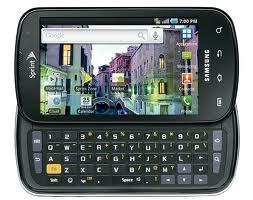 The Epic 4G is clearly their flagship device, with it’s front facing camera and access to Sprint’s WiMax network. So what’s with this screen that’s bothering me so much? I hoped it was just a defective unit until I was able to look at others and compare them. All Galaxy S phones have this ailment, but what is it? What causes the Epic4G to display just slightly differently from it’s brothers and sisters? The answer was unfortunately simple. It seems that the Epic 4G has a slightly lower Dot Pitch from the Captivate, Fascinate, and Vibrant. This slight change is just enough for you to see a variant when comparing the screens, and caused someone like me to notice it immediately, but only because I had experienced all four devices. I suppose this means that this issue would never bother the average consumer, but it remains undeniable that the Epic 4G has a lower quality screen than the other three devices. As you can see, the Epic has a slightly larger screen, but the same number of pixels, which in turn causes a lower Dot Pitch, which will cause defined images like app icons to appear more pixelated. 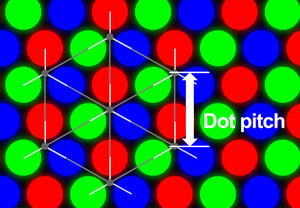 Additionally, any drawn straight lines, particularly white lines, will appear almost dotted instead of solid. As I said before, this is mostly unnoticeable. Someone with 20/20 or better vision can see the pixels pretty clearly, but this does nothing to affect the rich color and daylight benefits of this device. Browsing the web and watching movies did not feel any different then on any of the other Samsung phones. The phone is still one of the best on the market, but it does show you that not all Galaxy S screens are, in fact, created equally.